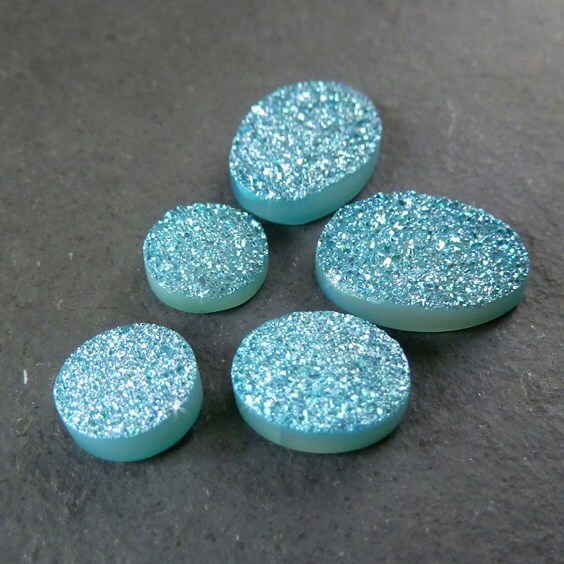 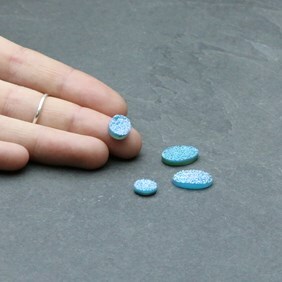 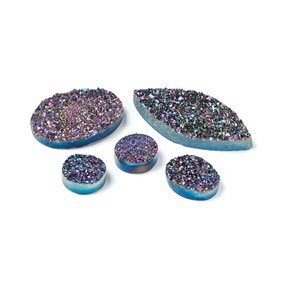 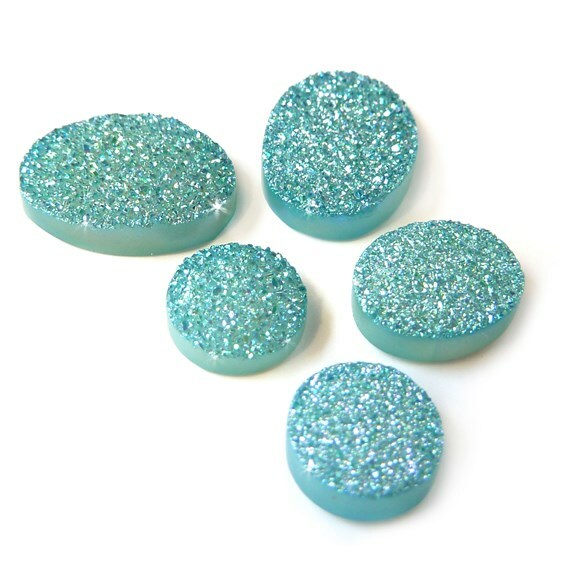 These stunning drusy (or druzy) flat plates are agate drusy with a beautiful soft subtle turquoise colouring with a lilac and green iridescent coating. They`re really stunning and need to be seen to appreciate their true beauty. 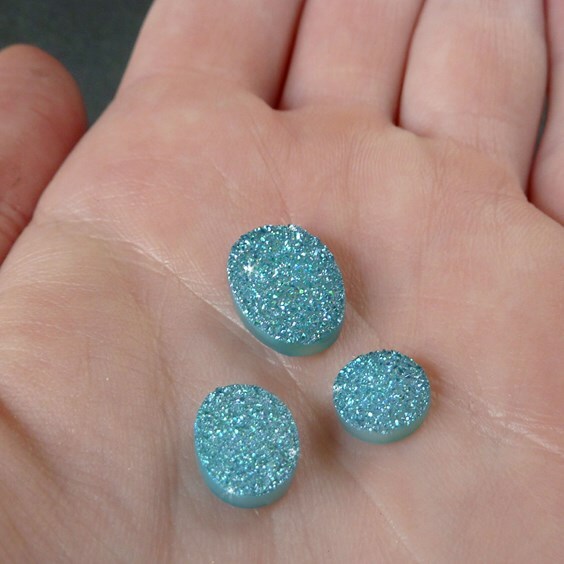 These agate have tiny sparkling quartz crystals in the middle. 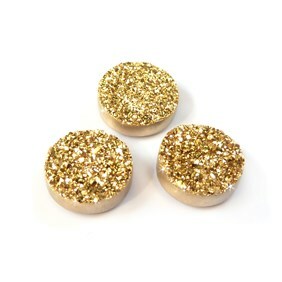 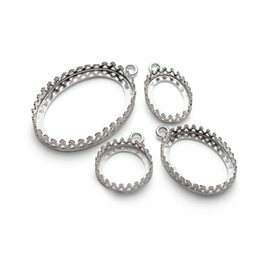 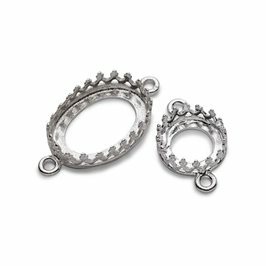 Available in 8mm round, 10x8mm oval and 14x10mm oval.